I’m the first to admit that my life before having a child was somewhat … self-indulgent. Long brunches, shopping binges, jetting off for a week in Thailand on a whim … you get the idea. No one could accuse me of failing to make the most of my bub-free days while I could. Looking back though, I think I often used these things to distract me from any issues I may have been having at the time. Over the years I have experienced on-again, off-again bouts of anxiety and depression – sometimes situational, sometimes inexplicable – but while they were difficult to cope with, I was also very lax about managing my mental health. Without a little one to depend on me, I just battled through and knew that in time, feeling down or anxious would eventually pass. When you have a toddler though, you don’t have that luxury. You have to be “on” every day – an energetic little boy isn’t going to understand if you want to spend half a Saturday in bed watching Netflix because you’re feeling glum. 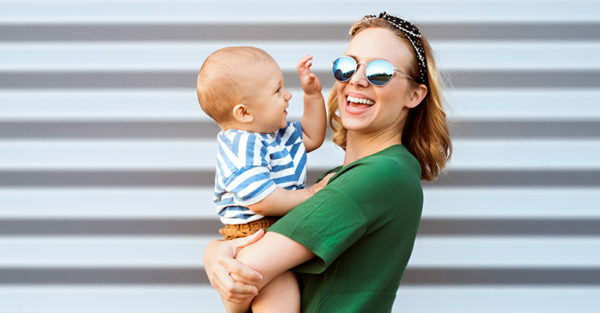 Postnatal depression is something I was on the lookout for in my bub’s first year – sleep deprivation and the demands of new motherhood often provide the perfect storm for PPD after all. Just like my son, I’ve discovered that I too need a routine to my life too, and I thrive when I have a bit of structure. I find it calming that I know exactly how my day is going to pan out and the two of us have a nice little rhythm going – cuddles in bed in the morning, eating breakfast together, activity time, reading, a playdate, coffee with a friend (for me, bub is still strictly on milk and water!). It makes me feel good that I know what the days will bring and gives me a sense of purpose. In the past, whenever I was feeling down, I would generally retreat from life a little and the people in it for a few days, but this often exacerbated the issue. Maintaining healthy relationships is crucial for good mental health; Beyondblue cites social isolation and poor relationships as risk factors for anxiety and depression. As a stay-at-home mum, I know how important it is to regularly connect with the outside world. Whether it’s catching up with family, meeting my mother’s group or a quick catch up with an old friend, I’m mindful of interacting with others as often as possible so that I don’t end up feeling isolated. This also extends to the various people we meet on our travels – saying a friendly hello to my local barista or the lady who serves us at the fruit and veggie shop teaches my son how to be polite to others and helps me feel connected to my community. They say one of the best ways to combat depression naturally is by getting a healthy dose of vitamin D from a few minutes of daily sun exposure. Beyondblue also recommends immersing yourself in nature as this can help reduce stress and anxiety, as well as teaching you to be calm and to keep things in perspective. One of my favourite things to do with my son is letting him loose at the park and permitting him to get a bit muddy, while he carefully examines every flower, twig and blade of grass. I gulp down lovely lungfuls of fresh air, get my daily rays and take in the calming effects of all that greenery, all of which does wonders for my mood. One of the more delightful things about spending your days with a toddler is you start to see things through their eyes. They can really hit it home for you that the world is an amazing and wondrous place. From watching the wind sweep huge gusts of leaves along a footpath to how magical it looks when blowing the filaments off a dandelion that’s turned to seed, adults are unmoved by these everyday occurrences, but to a child, they are a marvel. My son sees everything with new eyes and it’s forced me to do the same. This reminds me not to take things so seriously and instead, to focus on life’s simple pleasures. Both of which are great conduits to a happier frame of mind.